As Tunisia agonises over whether Friday 26 June’s horrific attack on western sunbathers at the Port El-Kantoui resort could have been avoided and as ISIS claims responsibility for the attack, much of the blame will inevitably turn to ‘blow-back’ from the 3000 Tunisian fighters who left to join ISIS in Syria, Iraq and Libya. Out of Tunisia’s population of over 11 million, these radicalised fighters represent a tiny albeit highly destructive fraction, who must not be allowed to destabilise the entire country. There is too much at stake. Four months ago deep in the Tunisian desert I chanced upon Tunisia’s version of Glastonbury, Les Dunes Electroniques, a three-day festival of world music, where over 7000 Tunisian and foreign guests danced into the night in the vast open spaces of the Sahara. Parts of the original Star Wars film were shot here. February in the desert can have its surprises, and this year’s ravers had their commitment levels tested to the full, not by an ISIS attack, but by torrential rain turning the sand into muddy rivers, forcing cancellations as water and electronics mixed. Spirits undampened, Tunisia’s young at heart padded good-naturedly through puddles wearing plastic bags on their feet. They also enlivened the spirits of the hoteliers, restaurateurs and shop-owners of the region, for whom the drop in tourism over the last four years has been hard. Tunisians have a uniquely tolerant Islamic heritage. Most are moderate Sunni Muslims and many have a natural affinity with mystical Islam or Sufism. 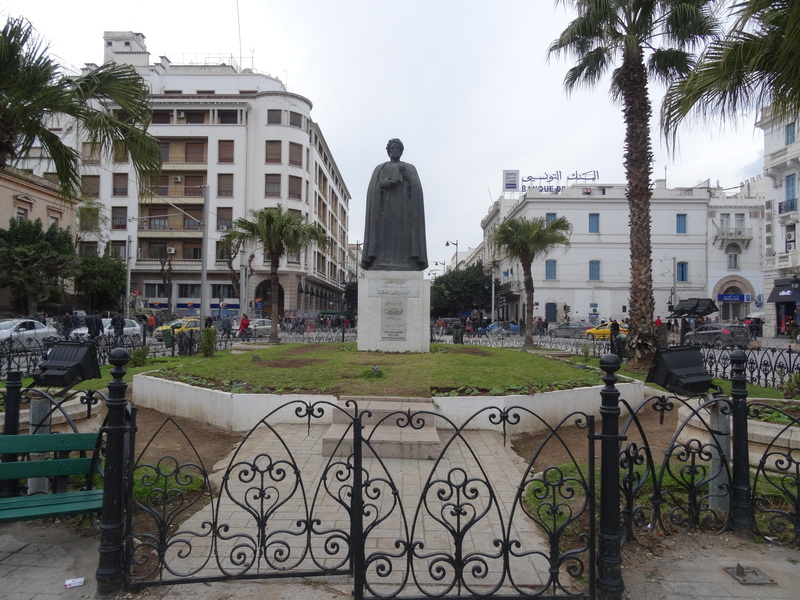 In the heart of Tunis stands a statue of the figure who embodies this, himself a Sufi – Ibn Khaldun, the world’s first sociologist philosopher. Born there in 1332, he stands with his back to the historic old medina, gazing out to the new city and beyond towards the sea. 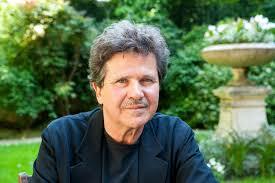 In modern Tunisia this heritage was personified by the Sufi poet/novelist Abdelwahab Meddeb (1946-2014). His landmark work La Maladie d’Islam (2002) explained: “If, according to Voltaire, intolerance was Catholicism’s sickness, if Nazism was Germany’s sickness, fundamentalism is Islam’s sickness.” He wrote over 30 books advocating an Islam of Enlightenment and a dialogue between civilisations. But when battling against fundamentalism, how do you get the balance right? How do you protect your citizens without also infringing their human rights? This is the question which faces us all in countries where freedom and democracy are valued. 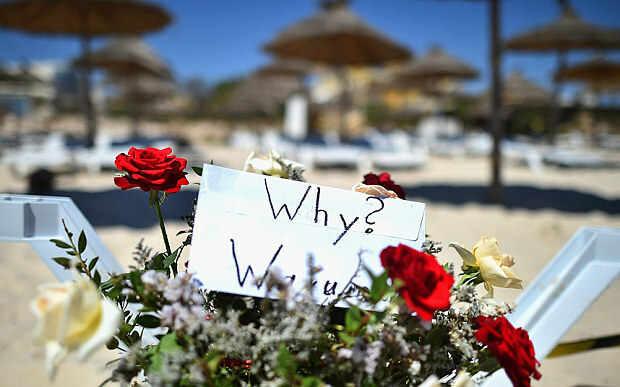 Full protection for Tunisia’s Mediterranean beaches, lined as they are by strings of contiguous hotels – some reports say the attackers arrived by boat – can never be guaranteed, just as London’s British Museum for example, could never be fully protected against random suicide bombers. Rigorous airport-style security checks are difficult to put in place, leaving the priceless statues of the world’s cultural heritage, seen as ‘idols’ by ISIS, an easy target. Tunisia’s secularist government took the difficult path, the costly path, to aim for western-style freedom and democracy. After the Bardo Museum massacre which left 24 dead on 18 March, their Cabinet proposed new anti-terrorism laws, seeking to enhance the powers of the security services and extend the period police can detain suspects from six to 15 days before they appear in court. Human Rights Watch warned that the new law risks criminalising political dissent. In Tunisia the army is generally respected by ordinary citizens, so it is significant that Prime Minister Habib Essid is sending army reservists to guard archaeological sites and resorts. The army sided with the demonstrators at the outbreak of the Jasmine Revolution, helping them come through with less than 400 deaths. Compare that with Syria’s death tally of 250,000 and rising. The police and security services on the other hand are perceived by two thirds of Tunisian households to be corrupt, according to the Global Corruption Barometer. They are mistrusted, with a bad track record of abuse and torture of detainees in prison, sometimes even leading to death. Tunisians complain that, in the last year or two, police corruption has got worse, with a feeling that they see themselves as above the law. Women feel especially vulnerable to intimidation. Bribery to avoid detention is often the only option. Soon after the Jasmine Revolution I asked a Tunisian official how the country had dealt with its corrupt security forces. He told me about 10%, those that were too corrupt to stay, were forced to leave, most of them flying out to Italy. It seems a new layer has quickly replaced them. 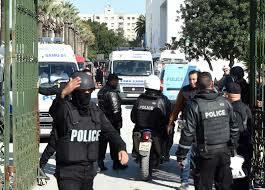 Maybe Friday’s attack and the world condemnation that has followed will be a wake-up call to reform Tunisia’s police. 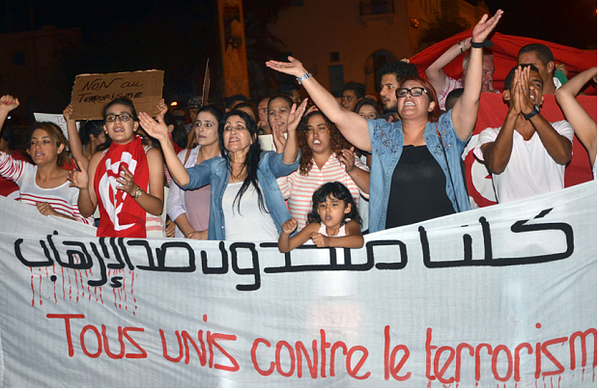 Many Tunisians blame the police and security services for not doing more to prevent the Bardo Museum massacre. They will blame them even more if, thanks to these failures, the Tunisian economy deteriorates further and the unemployment rates, already at 35% among the young, go higher. The government has a long hard road ahead, trying to persuade secularists to coexist peacefully with religious conservatives, and trying to stop its Jasmine Revolution being hijacked by a minority of violent Islamists. Tunisia is unique in the Arab world in having strong women who have campaigned hard for equal rights with men, and in having a strong middle class civil society and responsible trade unions. All this would be lost were ISIS to gain a foothold, and everyone knows it. Pictures of Tunisian women donating blood for Friday’s victims say it all. Tunisia’s fragile fledging democracy got more fragile on Friday. The coming weeks and months will test it further. The US and Europe must without delay help the country make a successful transition and stay the course of moderation. For if Tunisia fails there is no hope for all the rest. I believe Tunisia and its people will see brighter days, given proper measures are taken to restore security without compromising the rights of the people. When I watched the horrific news on TV I couldn’t help but compare what happened in Tunisia within the last few months with what happened in Indonesia, where I live, from 2002 to 2007. During that period Jemaah Islamiyah, an Al Qaeda affiliate in Southeast Asia, was responsible for successive bombings that rocked the Indonesian capital, Jakarta, and the country’s most popular tourist resort, Bali. Bombing happened every year. But that series of events eventually seemed to change the notoriously corrupt Indonesian police and security forces quite profoundly, at least in the way they deter terrorists from launching more attacks. Indonesia is now a much safer place, and I believe Tunisia will return to normalcy soon. Although the government has got a real plan on how to deal with Tunisians fighting abroad. Thank you for that very insightful comment, Bama. I know nothing about Indonesia, so I am very heartened to hear that Indonesian police did change as a result of the terrorist bombings. It’s good to see and hear now some positive coverage emerging about how local Tunisians helped save British tourists in any way they could, risking their own lives in the process.